In recent times, the need for a Publicist or PR agent to drive the promotion of an entertainment or corporate brand has become more and more common. In Cameroon for example, a few music artists since the explosion of Stanley Enow on the international scene have come to realise the importance of having a Publicist or PR agent in their team. Nonetheless, professionals within this area who actually and naturally understand the nature and scope of their requirement are very few. So what is a Publicist/PR agent? A Publicist / PR agent is a person whose job it is to generate and the manage the publicity of a brand. They are the go between between a certain brand, the public and media outlets. They are responsible for a favourable coverage for a brand as well as be able to manage negative or bad press coverages. Your Publicist or PR agent is responsible for promoting your brand through managing the spread of information surrounding your brand. This is typically through writing press releases during launches, developing and managing campaign ideas with a target goal in mind as well as running your digital online presence. They serve as the bridge between your brand, the public and media outlets. In view to get press coverages or stories written about a brand, the Publicist or PR agent is also required more often than not to pitch ideas convincing media outlets or media reps to do something with the ideas generated so as to get coverage. This is where a Publicist or PR agent’s press relationship comes into purpose. Some say content is Key, others say content is President over those who elect it but all said and done an effective content can be vital to the growth of a brand and engagement is Queen! This is more than just writing a press release content, an effective content should be precise, well curated to target the designated public and add value to their life, it should be able to attract, engage, inform and convert the receiver. If your Publicist or PR agent is unable to do so, they should enlist the services of a content creator. 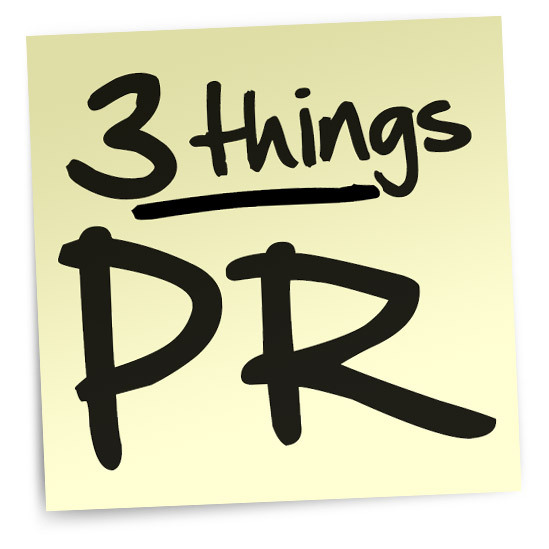 What is your Publicist/PR agent doing for you? If you would like to discuss a partnership with ModeMaison PR, do not hesitate to contact us. Travelling plus partying can be an expensive habit but there are ways of living it up in Paris or Barcelona for the weekend without emptying your wallet down the nearest drainpipe. Whether it’s tango lessons by the Sienne or free jazz sessions in a baroque Catalan mansion, beer and burgers in a Berlin rockabilly bar or alternative rock in Rome’s hip San Lorenzo district, Europe is positively bubbling over with one-off experiences that won’t break the bank. To help you along the way, we’ve pulled together the best nights out you can have for under £100 in four of Europe’s most dynamic urban hubs. We’ve included cheap, chic places to sleep and a combination of cool bars, restaurants and nightspots in each place to see you through from dusk to dawn. Plus, we’ve thrown in €20 spending money (for more drinks and extras such as taxis) and additional highlights in each city for further kicks during the evening and the morning after. Where to stay: Plug-Inn hostel in the centre of Montmatre has a boutique feel to it, with rave reviews and beds in a six-person room (including breakfast and wi-fi) from €30 per night. Pre-dinner drinks: Make like the Parisians and grab a spot by the Sienne to watch the twilight set in at Pont Neuf over a good bottle of Rosé from one of the nearby shops on Île Saint-Louis. €6. Where to eat: Drink wine out of baby bottles, write on the walls and line your stomach with oodles of gooey cheese and hunks of baguette at Le Refuges des Fondus, a bohemian, no-frills restaurant near to Abbesses metro. Fondue with antipasti from €21, wine bottles €4 each. 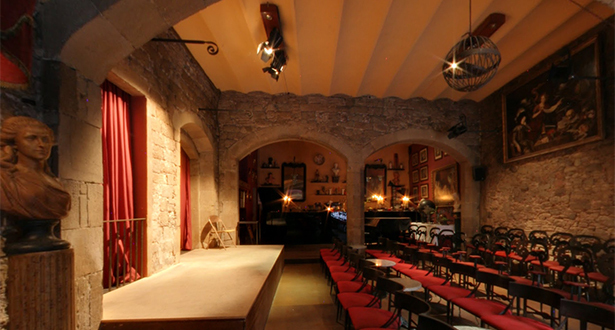 Where to party: Great jazz and medieval oddities are promised in Caveau des Oubliettes, a 12th-century prison and underground cellar in the city’s Latin Quarter. Beer from €12 with wine starting at €8.50 and cover charges some nights. Stays open to 4am. 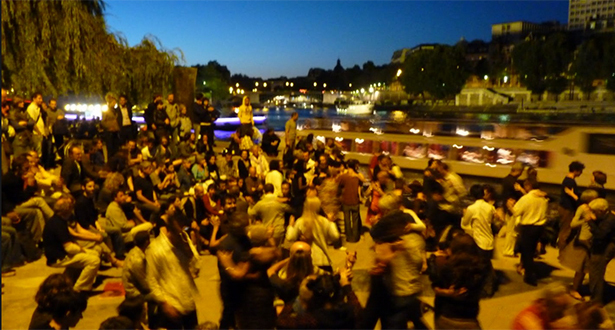 A little extra: Every evening from May to September, the public gardens at Tino Rossi Quai Saint-Bernard magically transform into a dance hall under the stars with couples dancing tango into the wee hours of the morning. 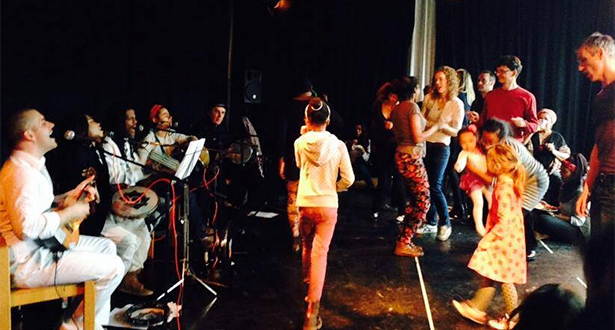 Turn up at 7pm for a free lesson (a hat is generally passed around for donations). The morning after: The cool, bazaar-style Aux Comptoirs du Chineurs in the Marais is definitely worth a rummage around if retro/vintage-style clothing and designer bargains are your thing. Where to stay: Guesthouse Barcelona Gotic is a beautiful building with traditional Catalan mosaics just moments from La Rambla in the heart of the city. Single rooms from €25 per night. Pre-dinner drinks: Enjoy a wine for €2.50 and cocktails from €6 at the eclectic Ambar, a shabby chic watering hole in El Raval, one of Barcelona’s oldest districts. Where to eat: Lata-berna on Torrent de les Flors does great, creative tapas such as smoked burrata cheese with rosemary and tomato at friendly prices. From €30 for a selection of filling tapas and drinks. Where to party: You can’t do better than Mac Arena Mar Beach Club, a free entry Ibiza-esque hangout with DJs and live music acts throughout the summer. Drinks are fairly expensive but as it’s only loosely organised, you could always bring your own supplies. A little extra: Catch some free jazz every Wednesday from 11pm at Palau Dalmases, a gorgeous Baroque courtyard that’s home to Espai Barroc, a 17th-century home filled with candelabras, stone busts and reproduction paintings. Opera and flamenco performances are also available. Wine or beer from €6. The morning after: Peruse the surreal collection of wood, stone and painted sculptures at the little-known medieval palace, Museu Frederic Marès. Adult entry €4.20. Total night out (including €20 for extras): €93.80 = £75. Where to stay: The Beehive is a clean, eco-friendly hostel that’s centrally located but offers an oasis of calm amid Rome’s frenetic tourist crowds. With beds from €35 per night in an eight-person dorm. 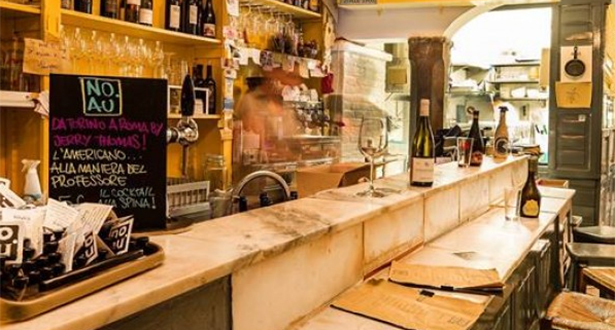 Pre-dinner drinks: Tucked away in a hidden piazza you’ll find NO.AU, an artsy, laid-back bar with locally sourced wine, Italian craft beer and organic nibbles. Thick, homemade chips with a drink or two and a charcuterie or cheese plate will set you back around €15. Where to eat: Locals and tourists alike flock to Antica Birreria Peroni, a Roman-style tavern near Piazza Venezia. Good, solid fare is the order of the day here, from daily pasta dishes to freshly baked pizzas, steaks and gelati. A full meal with half litre of white wine and dessert comes in at €35. Where to party: With an alternative, underground music scene, Circolo degli Artisti can be found in Rome’s hip San Lorenzo district. There are two indoor dance floors set against ancient Roman walls, lush gardens, private gazebos and a swimming pool. Cover charge €6, with cocktails from €6 and shots for €3. A little extra: A stroll around Villa Doria Pamphili, Rome’s largest landscaped park, is a must if you fancy some peace and quiet. Once a 17th Century estate belonging to the Pope’s nephew, it’s home to acres of serene manicured gardens, fountains and palm trees, a private chapel and a museum filled with family heirlooms including sculptures, paintings and vases. Entrance is free. The morning after: Make a beeline to Campo de’ Fiori Flea Market (open Monday to Saturday from 7-1pm) in the centre of the old city to hunt down foodie treats in this idyllic piazza. Where to stay: The Grand Hostel Berlin is a 19th Century building in the centre of the city, with spacious rooms, a generous breakfast buffet and apparently “the most beautiful hostel bar in Berlin”. Single rooms from €29 per night. Pre-dinner drinks: It’s not a bad idea to start the night out at Die Weinerei, where punters get to rent a glass for €2 and drink as much wine as they like. There’s a whole range of dynamic, locally-sourced brands on offer and at the end of the visit, guests are invited to tip whatever they think the service has been worth, in a novel honours system. Where to eat: White Trash on Schönhauser Alle is a kitsch all-in-one burger joint, live music venue, cinema and tattoo parlour . Think 50s rockabilly chic. €6 cover charge after 8pm, €9 for burgers and €3.50 for wine with salads and appetisers from €6. Book well in advance. Where to party: Katerholzig is one of Berlin’s most famous hangouts, located in a huge abandoned soap factory. Best described as a giant entertainment park for adults, it comes with multiple dancefloors, amazing lighting, a large outdoors area and DJs playing music from the venue’s own record label Katermukke. Entrance up to €12, drinks from €6. A little extra: Have yourself a strong coffee and a plate of Pao de Queijo (cheese balls) at Café Bombocado, a Brazil-meets-Berlin cafe with vintage living room-style furniture in the city’s buzzing Neukölln district. Latin theatre and concerts take place some evenings. Around €10 for coffee and cake. The morning after: Make time to mooch around Prenzlberg (Kreuzberg, Friedrichshain and Prenzlauer Berg), a young, creative and alternative hub with some of the city’s best graffiti street art, cool brunch spots and live art installations. So who is ready to hit that next city tour?! Goodluck and keep us informed should you take on these ideas!